Director Michael Grandage has added Guy Pearce and Dominic West to his true-story drama Genius, which is already being headlined by Colin Firth, Nicole Kidman and Jude Law. Genius marks the feature debut of Michael Grandage, a celebrated stage director. The film is adapted from A. Scott Berg's novel of the same name by playwright and screenwriter John Logan (Skyfall). The story follows the complex relationship between literary icon Thomas Wolfe and iconic Scribner editor Max Perkins. Guy Pearce will play F. Scott Fitzgerald alongside Dominic West as Ernest Hemingway. 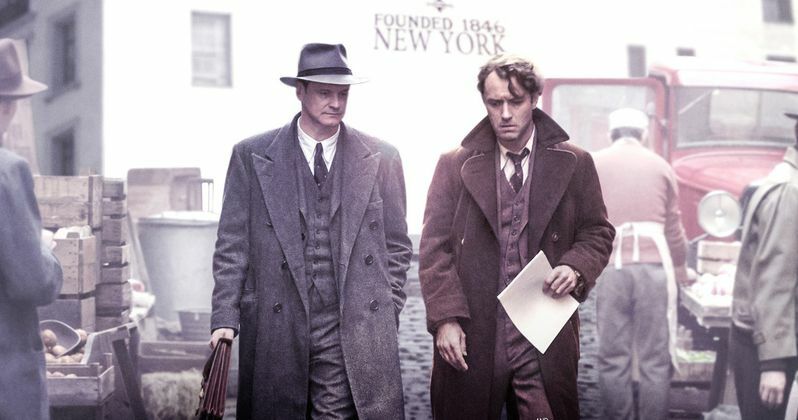 In the leads, Jude Law is taking on the role of Thomas Wolfe with Colin Firth as Max Perkins. Nicole Kidman is set to play Aline Bernstein, and Laura Linney has also joined the project as Louise Perkins. Genius is the third collaboration between director Michael Grandage, his producing partner James Bierman and John Logan. The trio worked on the stage production of Red, inspired by artist Mark Rothko, and more recently Peter and Alice, which starred Dame Judi Dench and Ben Wishaw. "John Logan is one of the greatest story tellers of our time both on stage and screen and I'm loving working with him again on Genius." Shooting on Genius begins this October at Shepperton Studios and on location in the UK.